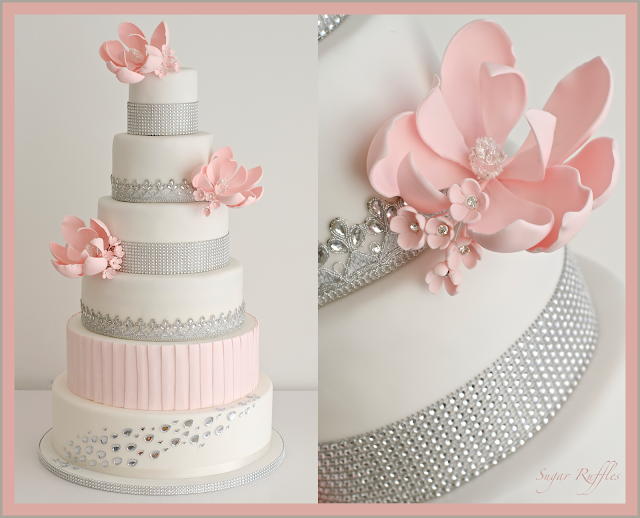 A 6-tier wedding cake with sparkly ribbon and diamante detail. This cake looked really beautiful and ultra-sparkly under lights. The large pink magnolia flowers with silver leaf centres matched the colour of the bridesmaid dresses and the small pink blossoms each had sparkly diamante centres. 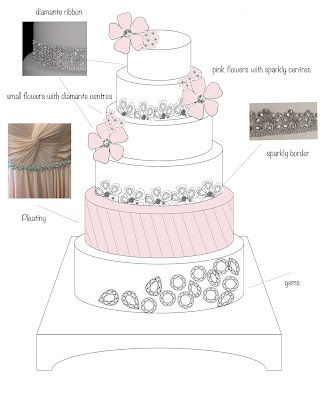 The pleated tier was inspired by the pleated detail on the bridesmaids dresses. Love the way you design it up! The pink and silver looks beautiful. Wow! 6 tiers, Love to have one on my wedding day!